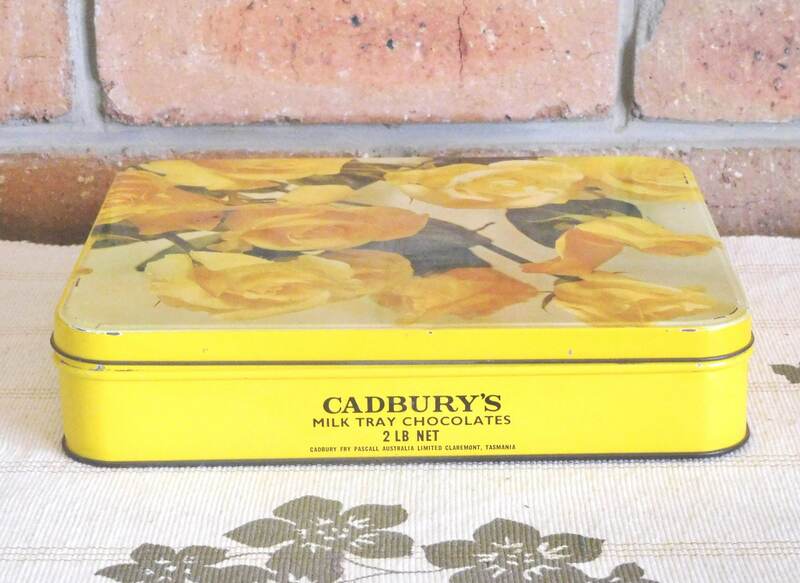 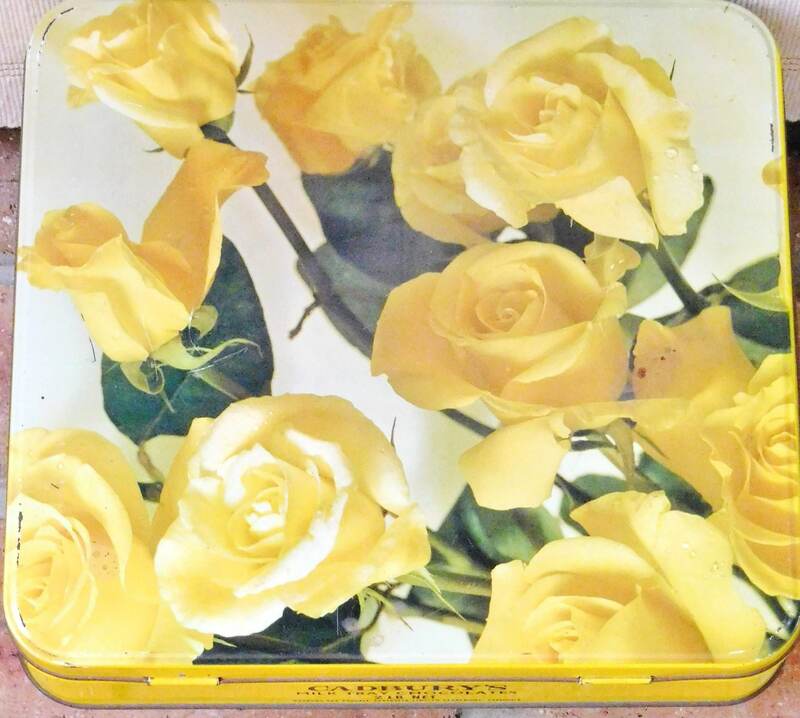 Cadbury's Milk Tray Chocolates vintage 1960s square metal tin with yellow rose design and hinged lid, highly collectable and in wonderful condition given its age. 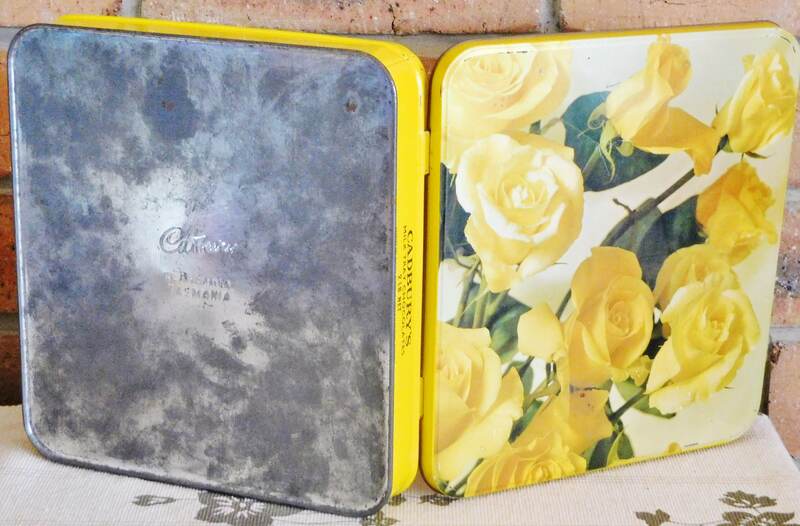 The exterior is fresh and largely intact, the base does show some signs of discolouration, the interior shows no signs of rust though there is trace evidence of something having been stored in it. 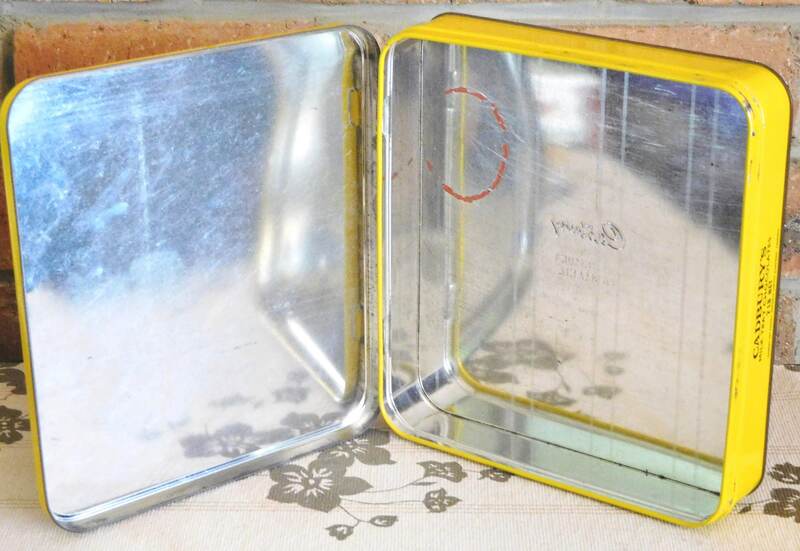 The tin measures 23.5cm x 23.5cm and is approximately 6/7cm deep.